A spin-off of the popular economic strategy game series, created for mobile devices by Mi'pu'mi, founded by former Rockstar members, with the help of Blue Byte Software. Anno: Build an Empire is a mobile version of the popular economic series, launched in 1998 by the German company Max Design. The Android version of the game was prepared by the independent Mi'pu'mi Games studio, founded by former Rockstar employees. Support in the production process was provided by developers from Blue Byte Software, which in addition to the competitive series The Settlers also has an add-on to Anno 2070 and the browser game Anno Online. The action of the game takes place in turbulent times of colonial conquests, and the task of players is to build from scratch a well-functioning colony in a virgin region of the world. The key to success is to combine organisational sense with tactical thinking to create the most efficient production chains possible. In addition to the construction of new buildings and the acquisition and processing of raw materials, an important role is also played by the need to meet the current needs of residents, through the construction of houses, inns and churches. At a later stage of the game, trade and diplomacy options appear, as well as the need to ensure the safety of our colony. The mechanics of the game draws on the earlier versions of the Anno series. We enter the game with a small supply of materials, developing our empire on one of the several islands to unlock access to the next as the game progresses. Each of the islands has a slightly different specificity and availability of different raw materials. In order to transport goods efficiently, it will also be necessary to create a suitable fleet. Throughout the game we will produce a total of more than 60 raw materials and goods and construct about 150 different buildings for different purposes. 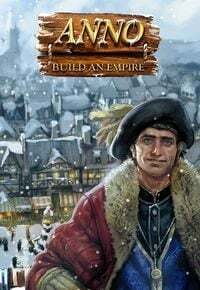 In terms of luminaire Anno: Build An Empire resembles quite clearly the browser versions of the Anno and The Settlers series, offering detailed models of buildings, made in the characteristic 17th-century style. The game is available in a freemium model, which in practice means a number of limitations encouraging the use of the micropayment system. Like any typical social game, Anno offers us the opportunity to challenge our friends and invite them to conquer the world together.